Online time tracking tools – there are loads of them, each with a different user experience and feature set. But which time tracker should you use? 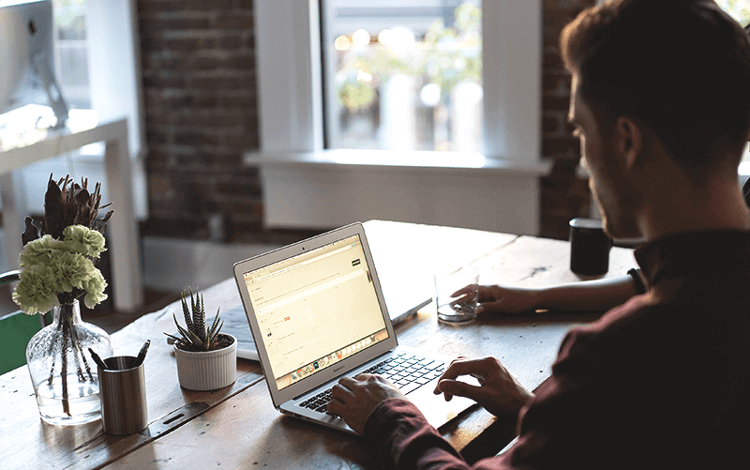 To make the hard work of comparing time billing software easier for you, we’ve reviewed 19 paid and free options, underlying the benefits and top features. In this list, you’ll find both the tools that only focus on time tracking as well as comprehensive time tracking software with invoicing capacities. Ready to find your next time tracking software (and to get paid for every minute of your work)? Scoro gives you all the tools you need for efficient time billing, including invoice templates, automated reminders, and recurring billing. But there’s more to Scoro – it serves as an all-in-one work management solution where you can manage projects, clients, and finances. Work in a creative, digital, PR, or an advertising agency, Scoro can replace all your current tools and you’ll end up paying a lot less. 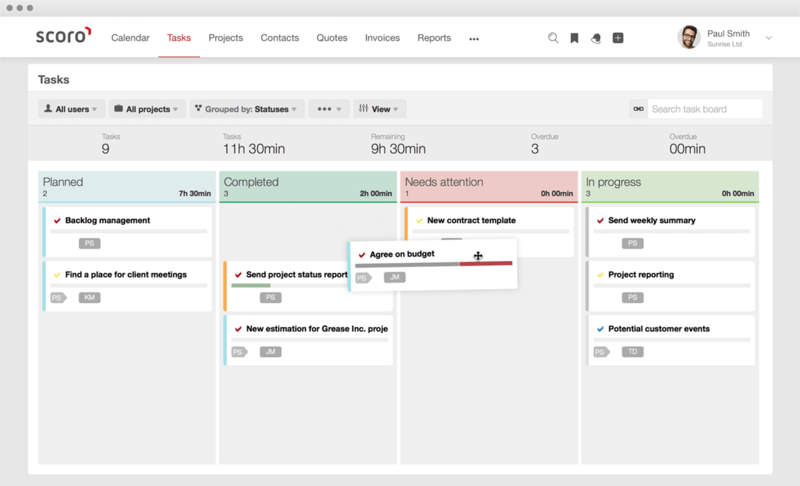 What’s interesting about this tool: Scoro combines time billing with project management and CRM, enhancing team collaboration and making it easy to manage all your business processes in one place. 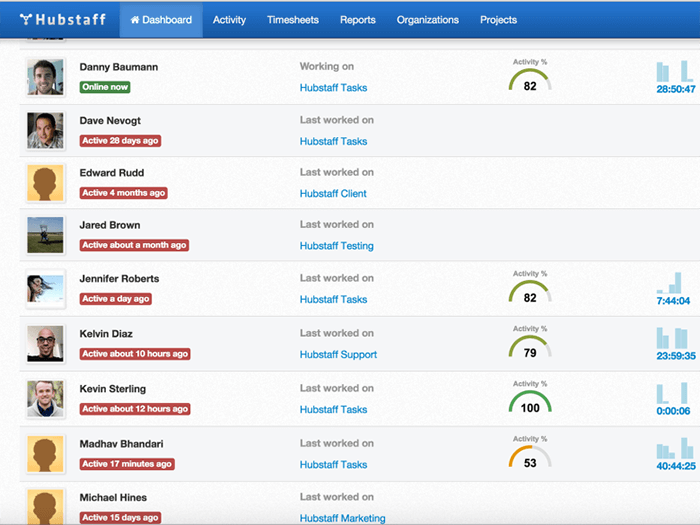 Hubstaff helps to track the time spent on work as well as your team’s leisure time. It’s a great option for organizations looking to track all the time spent at work (not just the time spent on tasks). Many companies use Hubstaff to check on their remote workers and to deliver payments based on the time worked. FreshBooks wants to make your accounting job easier, providing you with the tools for invoicing, expense tracking, and time management. You can automate most of your billing activities and have more time left for projects and meetings. 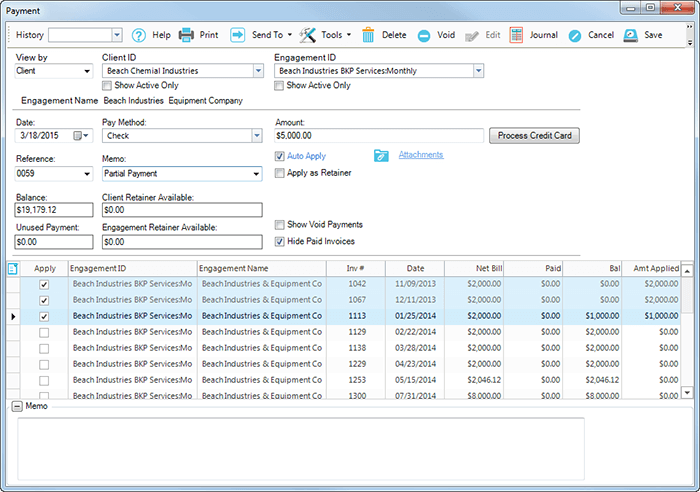 Automatically importing and categorizing expenses from bank accounts and credit cards. What’s interesting about this tool: FreshBooks is more than a time billing tool – it also helps you with expense management ensuring that all client-related expenses will be billed for. Freckle has been commented by their client as “ridiculously easy time tracking that our team actually uses”. Sometimes, two tools are better than one. 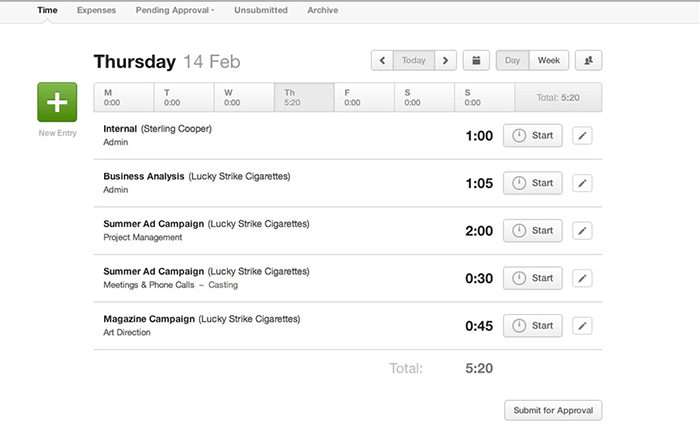 Tick is a time tracking app that integrates seamlessly with QuickBooks. 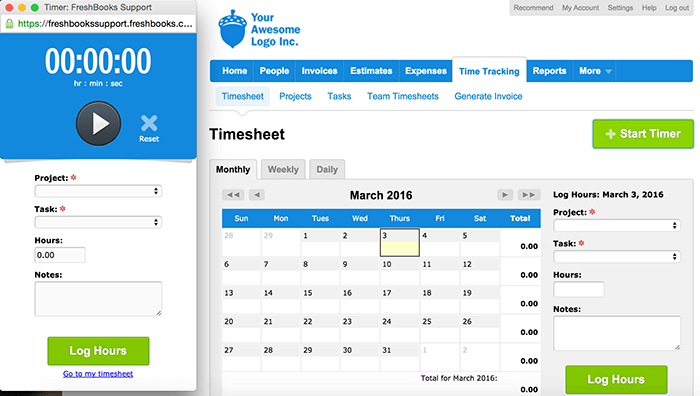 Monitor your team’s time usage with Tick and bill your client with QuickBooks. 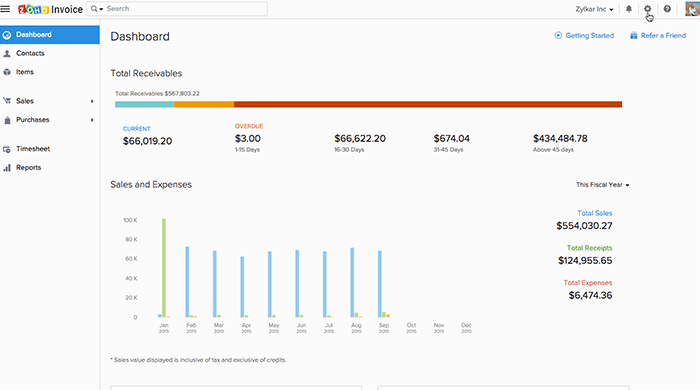 What’s interesting about this tool: Tick permits to track time to hit budgets for customers that do value billing. But if you’re already using QuickBooks, you can use this tool to efficiently invoice for your time as well. Like Scoro that was mentioned before, Replicon is a large multi-feature solution that includes various project tools. Replicon’s TimeBill helps companies to track the time spent on work and bill their clients for finished projects. If you’re already using Xero or QuickBooks, you can benefit from their integration with eBillity. This simple online time tracking tool allows you to record time from any device, delivering timesheets based on your work. What’s interesting about this tool: eBillity is a simple time tracking tool. But by integrating it to Xero, you’ll be able to turn your timesheets into branded invoices and forward these to your customers. 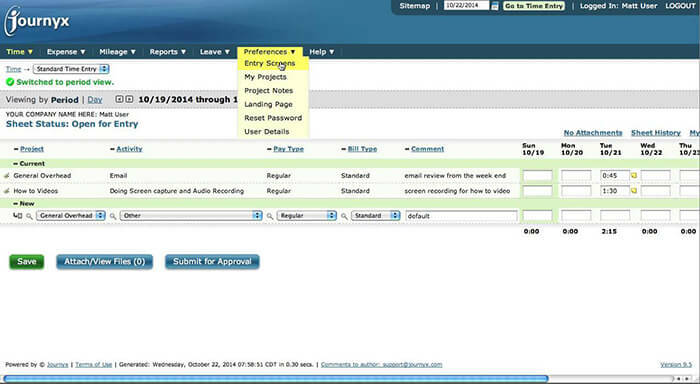 Zoho Invoice is part of the Zoho Online Office Suite. 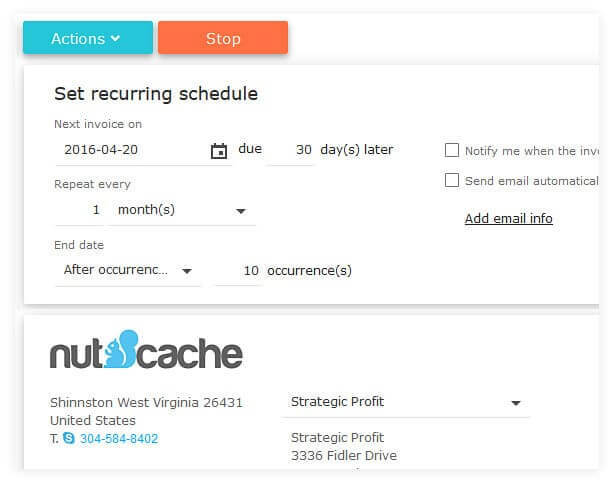 You can use this tool to track time spent on tasks and invoice your clients. Combined with other Zoho tools, you’ll get a wide set of features to manage your company more effectively. What’s interesting about this tool: As mentioned before, Zoho Invoice is part of a large software suite. If you use Zoho for managing other business processes as well, it will be a good choice for billing for your time. Otherwise, you might want to pick another tool with no strings attached to a large business suite. 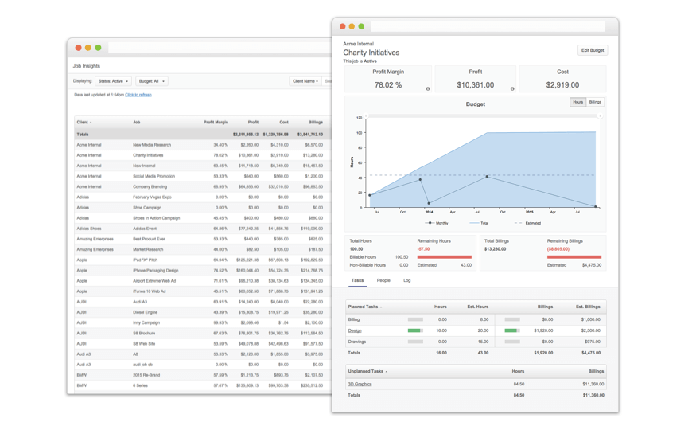 Harvest is one of the best-known time billing tools on the market. With its simple interface and light feature-set, Harvest makes it super easy to track time and bill your clients accordingly. 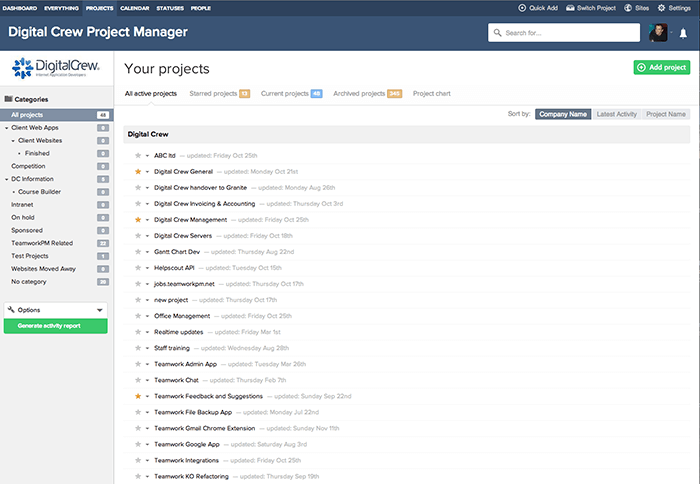 What’s interesting about this tool: Harvest is a time billing tool rather than online project management software. It is focused on doing one thing and doing it well. BillQuick has built a tool that’s easy to use even when you’re not around your computer. In addition to project management, it provides a comprehensive set of time billing features such as a time tracker, invoices, and an overview of all expenses. Tracking personal time off, overtime, compensation time, vacations, etc. What’s interesting about this tool: BillQuick has a tool called Employee Workload Forecaster that let’s you see the tasks assigned to each team member. Bill4time gives you the tools to better manage and organize your project workflows. 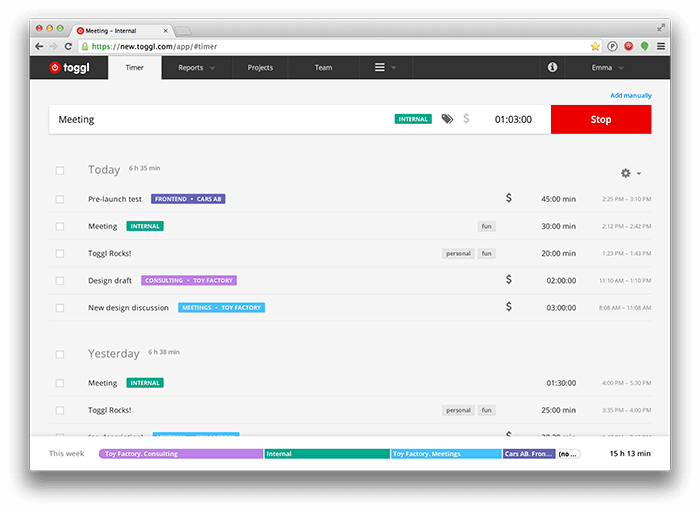 With this tool, you can schedule projects, track time, and send invoices to clients. What’s interesting about this tool: Bill4time offers a wide set of reports about the team’s productivity, project profitability, and much more. What’s interesting about this tool: Nutcache has an easy-to-use user interface, making it easier to collaborate on projects. 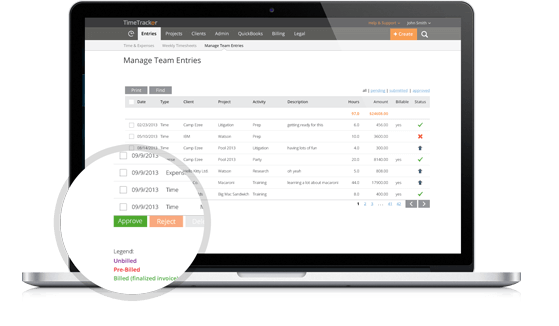 Toggl is a no-hassle time tracking software that integrates with tens of different project management and billing tools. It is the perfect add-on to your existing tools, helping you to be more productive throughout the day. What’s interesting about this tool: Toggl is completely focused on time tracking, which means that they’re really good at it. 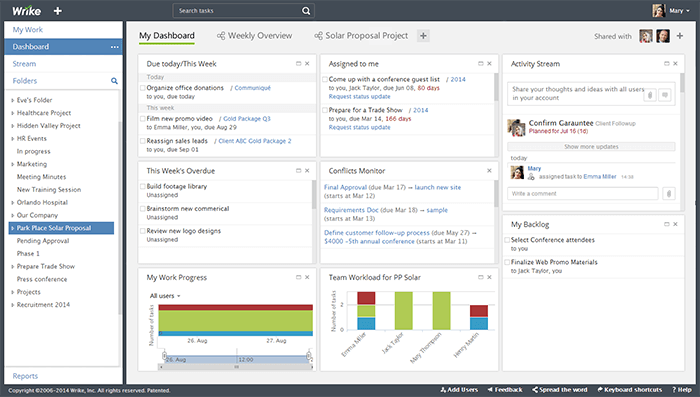 Wrike is one of the best project management tools out there. 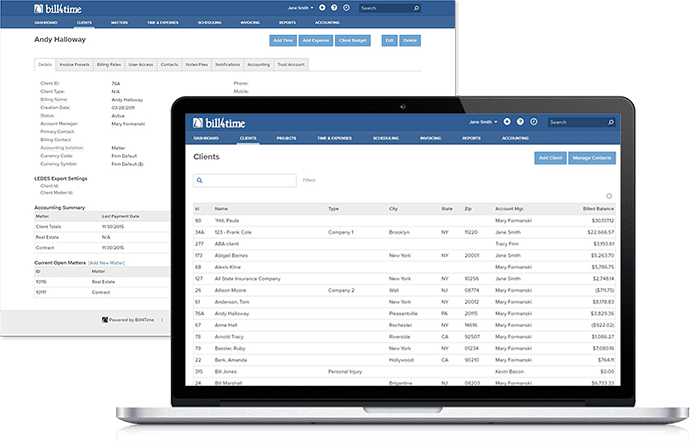 Harvest is the most popular tool for time billing. Luckily, there’s a seamless integration between these two tools. What’s interesting about this tool: While Wrike doesn’t have time billing functions, it works in perfect harmony with Harvest. If you’re looking for tools to manage your work and time, these two will be a great choice. Check out this Wrike alternative! 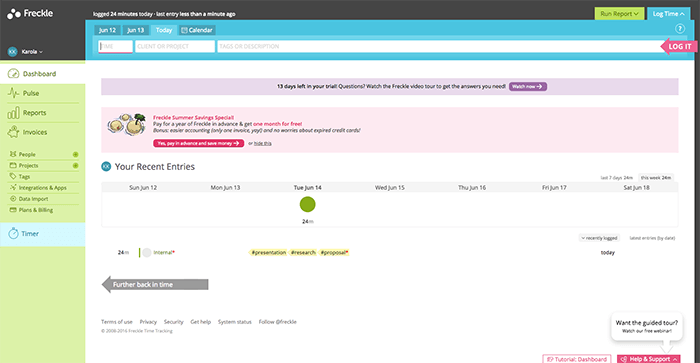 Journyx makes up for its average user experience with a wide set of features for time and expense tracking, resource scheduling, and Gantt Charts. What’s interesting about this tool: Journyx has customizable dashboards that let you monitor the exact information you need to know. It is also the perfect tool for those who like old-school software interfaces. Teamwork provides a wide set of project management features, including time tracking and billing for hours worked. As you start using Teamwork, you’ll get a complete overview of your team’s time usage, and can optimize your work for higher productivity. What’s interesting about this tool: The invoicing feature in Teamwork isn’t as strong as in some other tools, but it integrates with all your favorite billing tools, such as QuickBooks, Harvest, Xero, etc. Pricing: Startup plan (up to 25 projects) $24/month, Small Office plan (up to 40 projects) $49/month, Professional plan (up to 200 projects) $149/month. 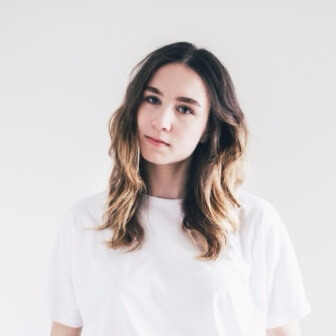 More plans available on the website. We truly hope you’ve found some interesting and helpful time billing tools to consider. 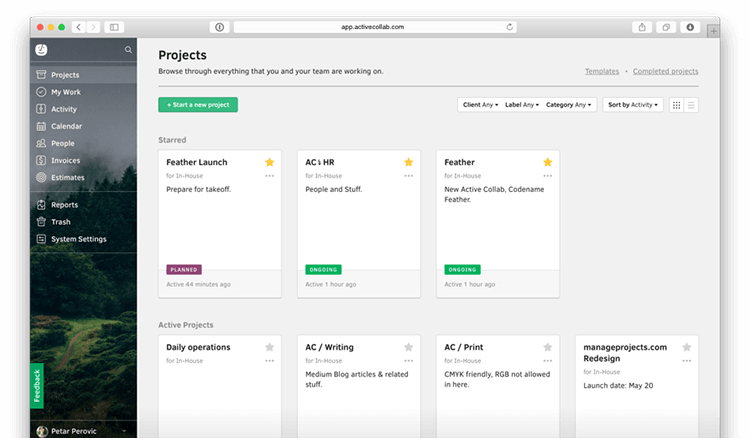 If you’re interested in project management tools, have a look at this list of Agency Project Management Tools with over 30 excellent tools for every need. If there’s a tool you’d like to learn more about or introduce to this list, feel free to drop us a line at info@scoro.com.